Can I name a value that is referenced elsewhere in my doc? 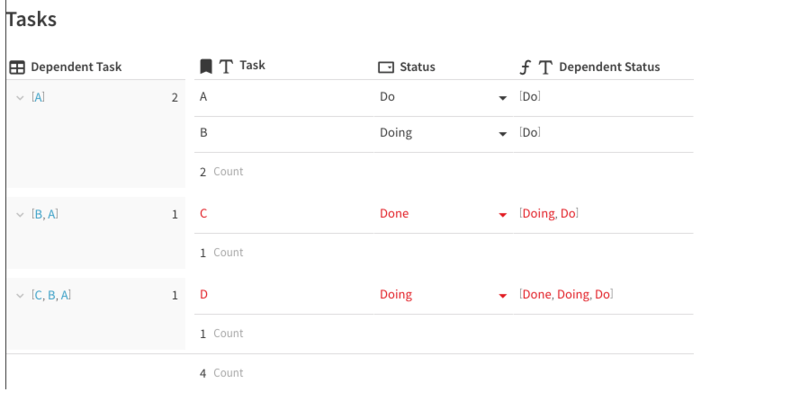 What if I have multiple dependencies associated with a single task? Sometimes we have the same values shared by tables in a doc. 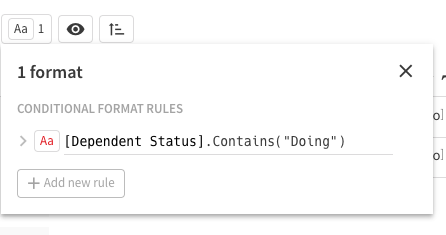 Rather than having to retype these, or worry about keeping them up to date, Coda allows you to set a column of a table as a lookup column. 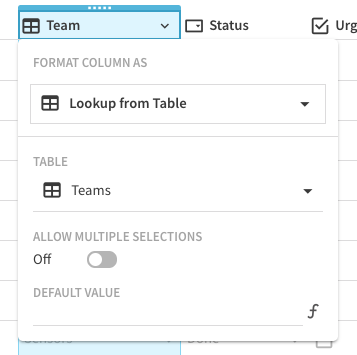 If you ever want to change your display column, click the dropdown menu next to the column of your choice and select Set as display column. 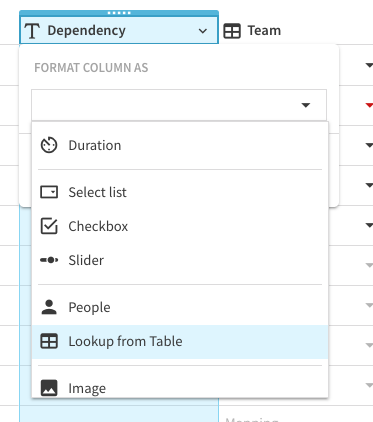 If you want even more details about the lookup column format, check out this article. You'll notice that these are linked so any changes you make in either location will hold true. 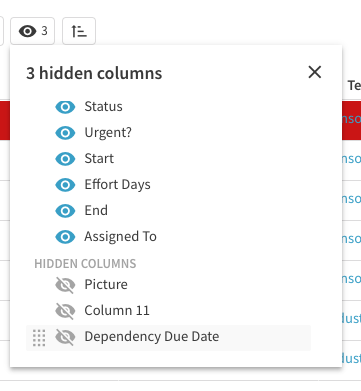 And, what's more, you'll be able to see all of the underlying data from the dependant task in the row in question so you have the complete picture of your work and how it's put together. Create a Dependency Status column with the following formula. This way, your dependency's status will be the same across your Table. 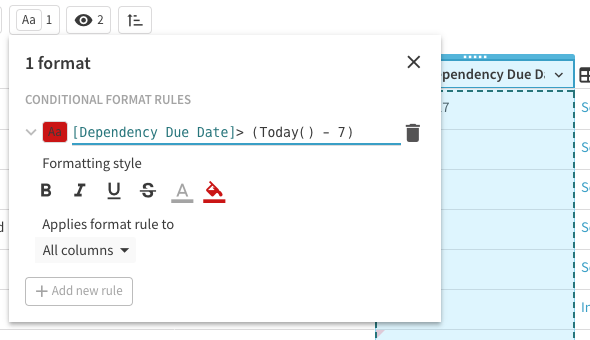 Once you have a dependency lookup column, you can use Coda formulas to gain even more intelligence around your data. For example, if you want to be aware of when a dependency is causing a larger risk, you can build formulas off of your lookups. 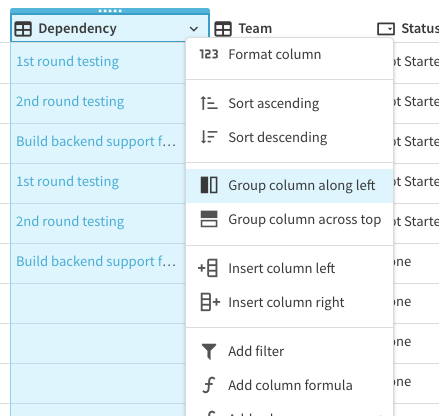 For an easy summary of what your dependencies affect, you can choose to group the dependency column along the left. 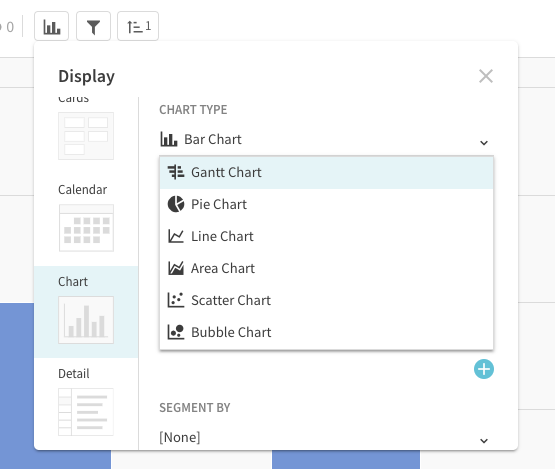 Once you group your table by dependencies, you can switch to a Gantt view by clicking the view as icon and choosing Gantt. 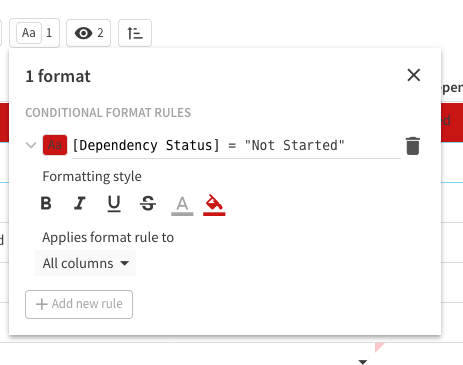 You'll then be able to see your dependencies in a nested and visual view. Yes! Check out the Controls article for a deeper dive on this topic.